Bartolomé de Las Casas was the first and fiercest critic of Spanish colonialism in the New World. An early traveller to the Americas who sailed on one of Columbus's voyages, Las Casas was so horrified by the wholesale massacre he witnessed that he dedicated his life to protecting the Indian community. 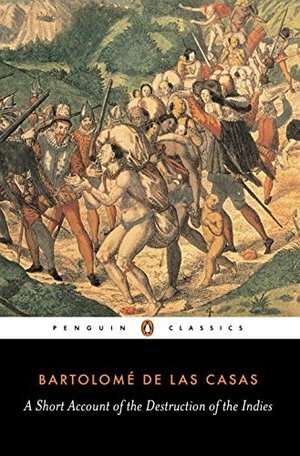 He wrote A Short Account of the Destruction of the Indies in 1542, a shocking catalogue of mass slaughter, torture and slavery, which showed that the evangelizing vision of Columbus had descended under later conquistadors into genocide. Dedicated to Philip II to alert the Castilian Crown to these atrocities and demand that the Indians be entitled to the basic rights of humankind, this passionate work of documentary vividness outraged Europe and contributed to the idea of the Spanish 'Black Legend' that would last for centuries.For more than seventy years, Penguin has been the leading publisher of classic literature in the English-speaking world. With more than 1,700 titles, Penguin Classics represents a global bookshelf of the best works throughout history and across genres and disciplines. Readers trust the series to provide authoritative texts enhanced by introductions and notes by distinguished scholars and contemporary authors, as well as up-to-date translations by award-winning translators.